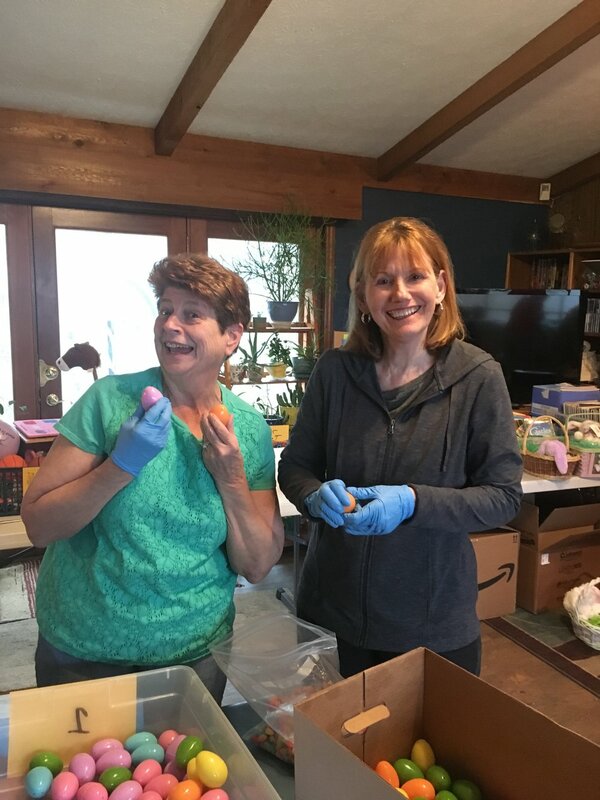 In a faraway land named Paragon, two bunnies were hard at work prepping and preparing for a very special event. 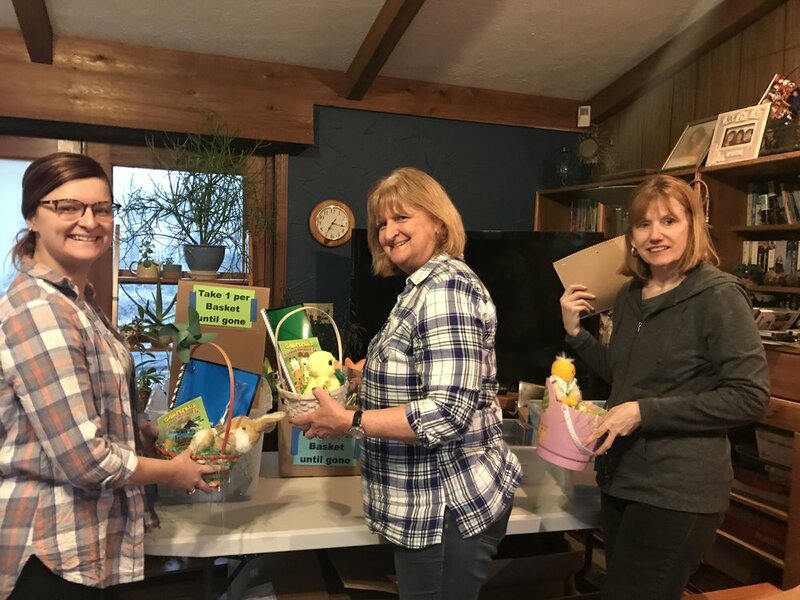 On this one special evening all of the Paragon generous, hardworking bunnies will arrive with noses wiggling and tails-waggling to make baskets. 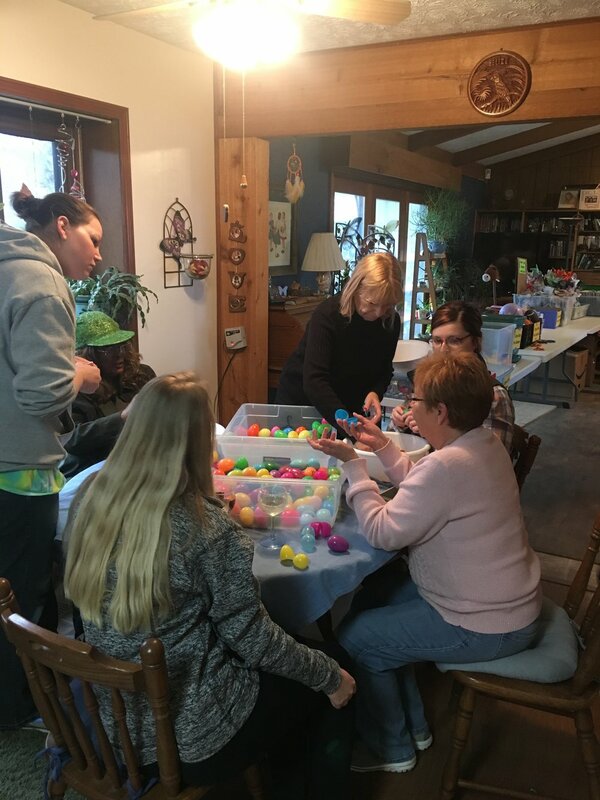 Paws, paws, so many paws will fill eggs with jelly beans and gummy treats. 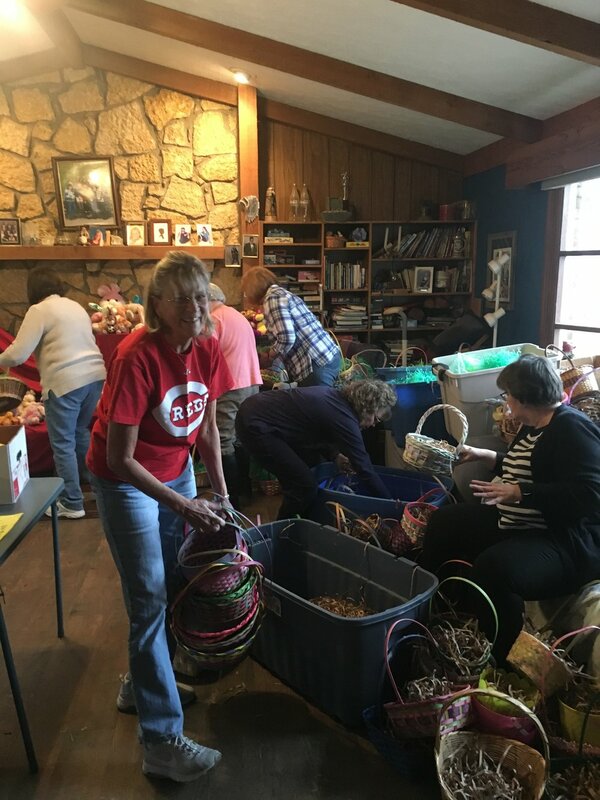 Other paws will fill empty baskets with grasses, and then more paws gently placing a plush stuffed animal in each one. 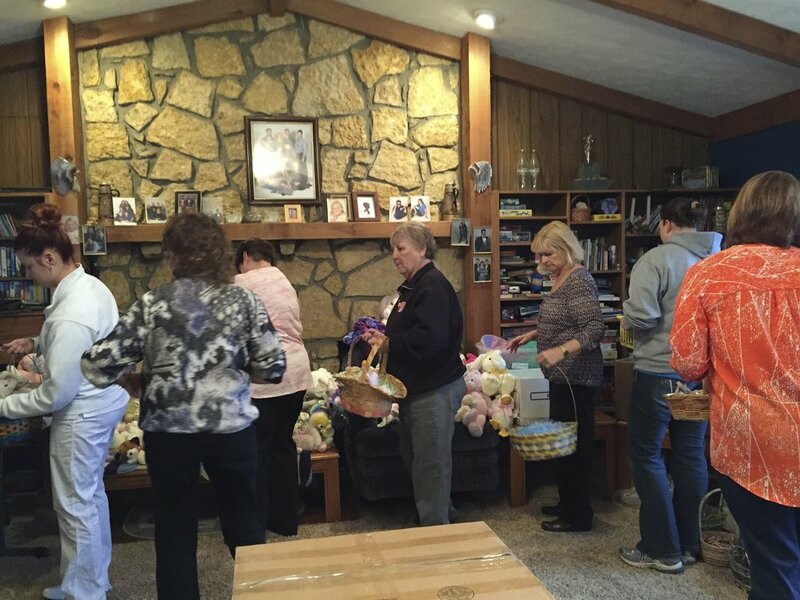 After that the parade will begin like a well-choreographed ballet, the bunnies will assemble basket after basket. 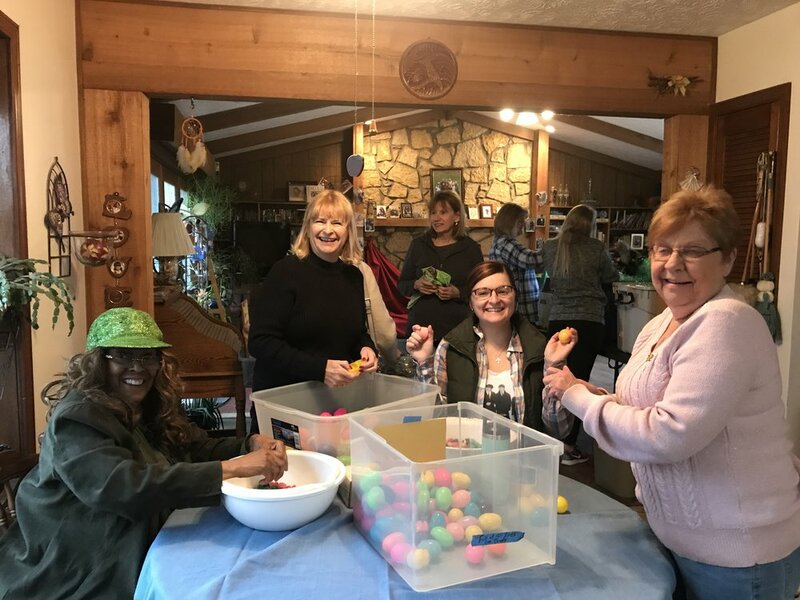 One by one, egg by egg, toy by toy, book by book, and bag by bag the baskets are magically filled and tagged for delivery. 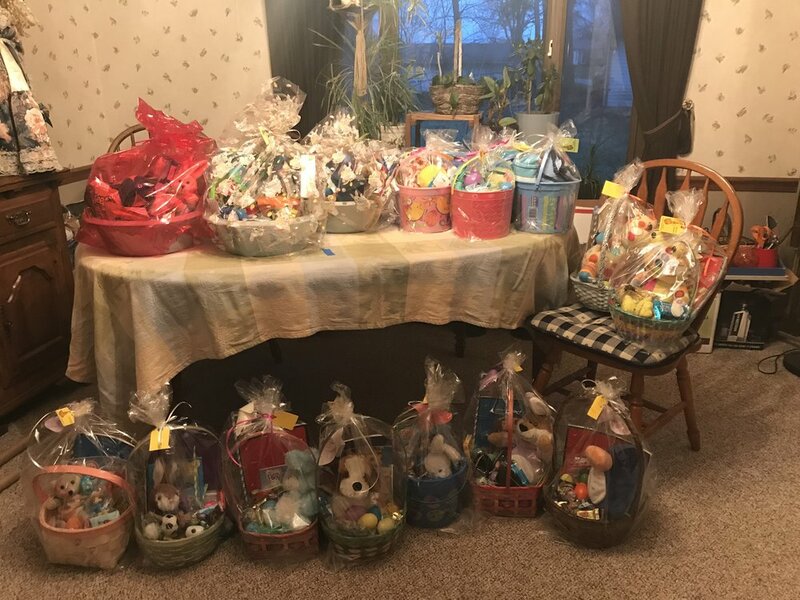 By the end of this special night 150 baskets will be lovingly made in less than an hour. The joyous vision of children smiling and laughing as they receive the fruit of the bunnies’ toils flicker in every bunnies’ eyes. This land has existed for nine years, and every year the number of bunnies grow because every time a child is joyous a new bunny is born. Then there’s more paws to help bring joy to another child and another part our world!